Congratulations!!!! You are going to a great mom! I am so happy for the two of you! I have been blogstalking for awhile now and think you’re an amazing person…as well as a pretty awesome photographer. 😉 Much anxiety and cooing over baby clothes is in your near future! I’M GOING TO BE AN UNCLE!!! YAY!!! Little Gary Moon Strickland looks like an upside-down chicklet! Congratulations! Being a parent is such an awesome feeling. Good luck with your pregnancy. CONGRATS! Your world is just about to change for the better…get ready for an amazing ride through life! KIDS ARE AWESOME! Jessica and Mark, congratulations!!! I am so thrilled for you both! Welcome to parenthood. You are going to be awesome parents and enjoy every second of this. Hope you are feeling good, Jess. I know how fun morning sickness is:) It is all worth it in the end! CONGRATS Jess… that is such amazing news… Matt and I are soo happy for you and your husband. We have some news ourselves… not only will you be photographing us, but 4th of July weekend we also found out that I was pregnant, and then a week later we found out that we were almost 6 months along!!! So I will be 8 months pregnant by the time of the wedding 🙂 our baby boy, Dirk is due November 4th!! so there will be three of us to photograph. Again, congrats with everything we are so happy for you!! Congrats! Babies are the best news. I have a March baby too – it is wonderful time of year to celebrate a birthday. That’s awesome…I’m sure you guys will be the hippest parents ever. Congrats on the new addition to your family. Such wonderful news. Congrats! Parenthood is the most glorious experience life could ever offer. Congrats to you both! This is such exciting news!! My sister just found out she is pregnant as well, and she said the exact same thing about wanting something so much and then not sure how to react to the news! I think I was more excited than her! 🙂 Your sister probably felt the same way! Congratulations! What an exciting time of your lives! Wishing you all the best. Congratulations Jess and Mark! How exciting! I’m so excited for you. congrats! how absolutely wonderful! LOL Who is going to shoot the birth? I volunteer! I LOVE birth photography! Woo-hoo!!!!!!! Congratulations to you and Mark. I’m super-excited and happy for you. Oh dear! So happy to see you both so happy! Very special and best wishes! Congratulations Jessica! What exciting news. I’m related to Abby Scales and have been a blog follower for quite some time after seeing Ella’s photos when she was small. I’ll be praying for a healthy pregnancy for you and your sweet baby! Congratulations to the both of you! How exciting! SO so so excited for you two! That is wonderful news! Congrats!! I can’t wait to see you in October when our little one arrives, you are going to be so cute! Congratulations again on your happy happy news! I just could not be more excited for you! Congratulations!!! I’m so happy for you! I’ve been an avid follower/blogstalker for quite some time, and love love LOVE your work, and this is going to be so exciting! Your lil’ peanut is going to have the most beautiful photos! Congratulations again!!! ROCKIN! My wife and I are moving in that direction ourselves right now. Congrats!!!!!!!!!!! You have wanted this for some time and I couldn’t be happier for you (even though I don’t even know you!). Can’t wait to see pics along the way! I have been following your blog forever – I am a friend of Nicole Green’s, and she showed me your website for the first time years ago…but I am also pregnant and due on the exact same day as you! How cool! Best wishes with your pregnancy! Congrats Jessica! Enjoy your pregnancy. 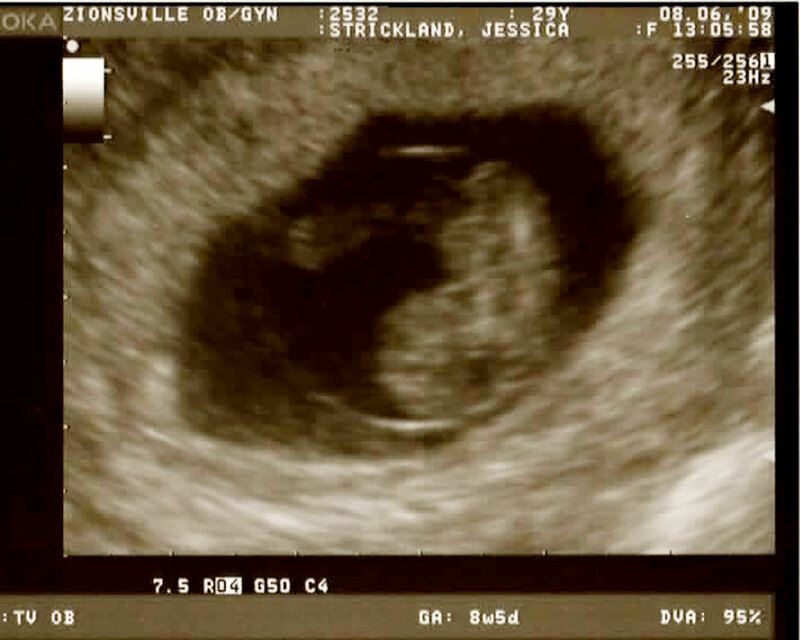 There is NOTHING like the second you find out you are pregnant, that is until you actually see your baby for the first time. This is the best thing you will ever do in your life. You won’t even believe the love you will feel for your girl/boy. It is unlike anything else.